The terms gilding and gold leaf pertain to a number of techniques for applying fine gold powder to surfaces such as wood to give a thin coating of gold. 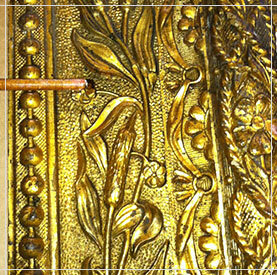 Gold leaf is made by hammering gold into an extremely thin unbroken sheet for use in gilding. It is the simplest and most ancient method that has remained relatively unchanged for thousands of years. Before applying the gold leaf, the wood surface is covered with gesso and clay bole. After the bole is applied, its surface is re-wet with what is called gilder’s liquor, and then the gold leaf is applied onto the object. 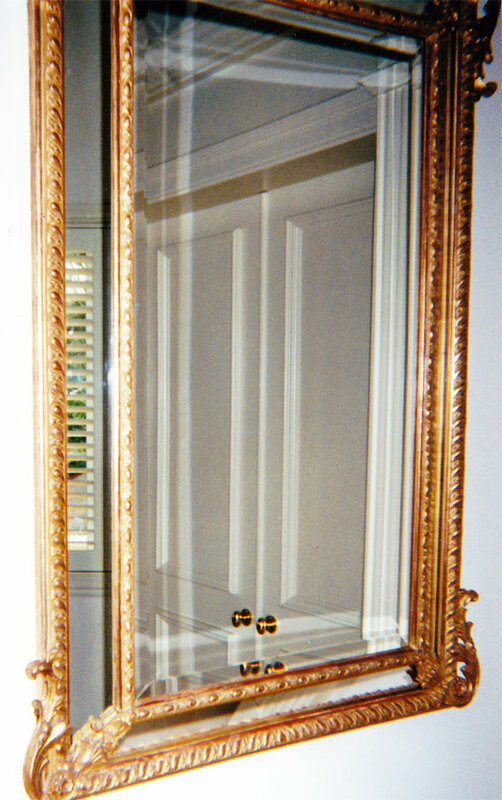 The final step is burnishing or polishing the gilded surface to a brilliant finish. The surface may be burnished with an agate and sealed with a lacquer varnish or shellac. 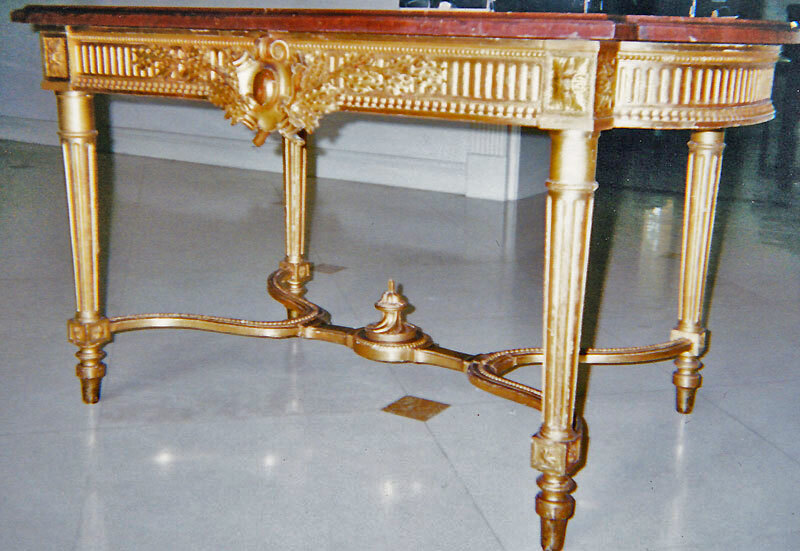 Restoration and regilding antique furniture is very painstaking work because the gilder must match a finish that has been developing for 100 plus years. Riquelme Restoration provides expert gold leaf application. Please contact Andres today for a free consultation.